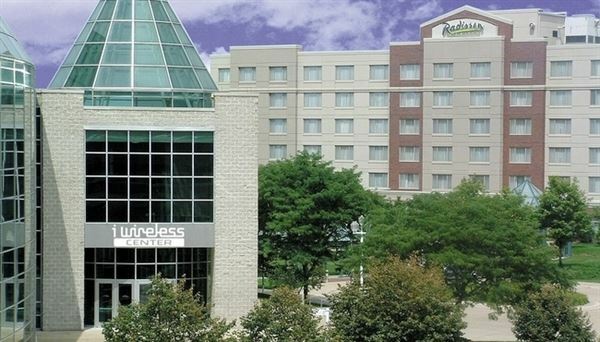 Contemporary 6-story Hotel conveniently situated in downtown Moline and featuring flexible meeting facilities that can accommodate up to 40 people, the Radisson on John Deere Commons is an ideal choice when planning an event. Our experienced planners are happy to assist you in coordinating a memorable gathering in our modern Mississippi Room. Need a larger venue? The adjacent iWireless Center boasts 60,000 square feet of conference, banquet and exhibition space.